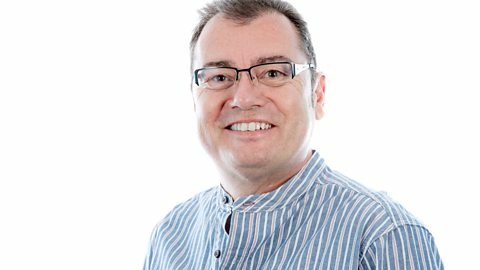 Join Stephen Foster on BBC Radio Suffolk. Luke Deal tried out the new ride at Pleasurewood Hills. It wasn't as funny as it looks. The Ipswich Academy receives its first 'Good' rating from Ofsted since it opened in 2011. Students from Westbourne Academy in Ipswich tell Wayne Bavin about their latest show. Ch Insp Matt Rose on why 44,000 people abandoned calls to 101 in the last year. Entertainment between 4-5pm, news hour between 5 and 6, and Foz plays everything from folk, jazz, rock, bluegrass and much more after 6pm. 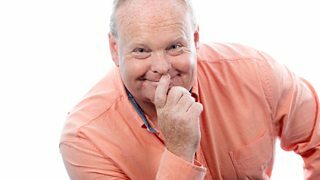 One of BBC Radio Suffolk's longest serving presenters, Stephen joined the station shortly after it opened in 1990. Before that he spent eight years at Electric House working for Radio Orwell. His career highlights so far include reporting from The Falklands, presenting a programme from Wembley Stadium when Sudbury reached the F.A. Vase final, working on a series of programmes with Terry Waite and helping to establish Ipswich's Music Day. He adores Suffolk, loves travelling to the States and has a passion for the blues - both the music and the Tractor Boys at ITFC. Stephen is also the co-author of a book on Ipswich's Regent Theatre. From Buddy to the Beatles recalls the days The Regent rocked and tells the story of Buddy Holly's visit in 1958 as well as concerts there by The Beatles, The Rolling Stones, Cliff Richard and The Byrds among many other legendary acts. Stephen is a part-time music promoter in-and-around Ipswich and writes a weekly music column for the Ipswich Evening Star newspaper as well as a monthly column for the free listings magazine Grapevine.